"Glorious" Collection draws you in with its elegance and colour range to the cherished memories we all have of our past Christmases. From the moment that you open the folders and see the stunning elements and background papers your mind will be flooded with creative ideas on how to design your next Christmas card, mini album or scrapbook layout. The beauty of this digital kit shines through in each and every image from the doves, bells and christmas florals to the clustered elements just waiting to be created with. 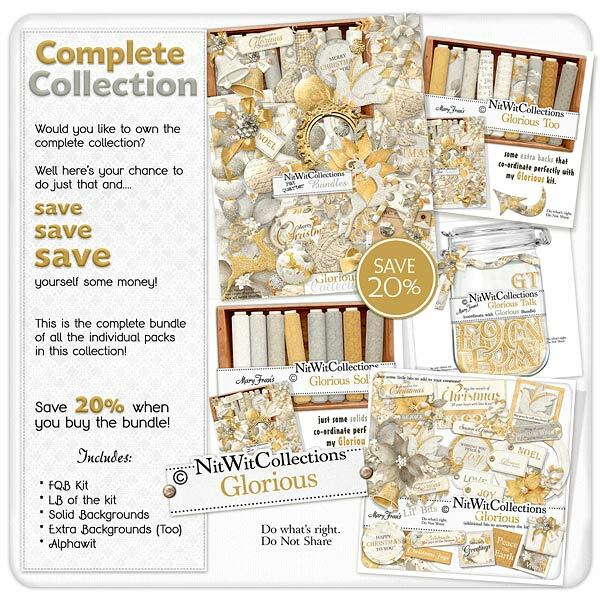 Take a step toward crafting a refined and classic memory with this luxurious Collection!